"A native of Northern Virginia for the last 30 years of his life, he hated how all of you were incapable of driving competently"
A retired U.S. Marine Corps colonel hated D.C.-area drivers so much, his family mentioned them in his obituary. Col. Robert F. Gibson died in Annandale, Virginia, on Dec. 26, 2017. He was 77. In an obituary published Sunday in The Washington Post, his family wrote about his distinguished military service — and his feelings about local drivers. "A native of Northern Virginia for the last 30 years of his life, he hated how all of you were incapable of driving competently," the obituary says. Gibson's widow, Barbara Gibson, told News4 her family wanted to capture in the obituary a part of her husband's daily life. "It’s a general sentiment a lot of folks have," she said. "He traveled on the Beltway, and traffic is horrendous." 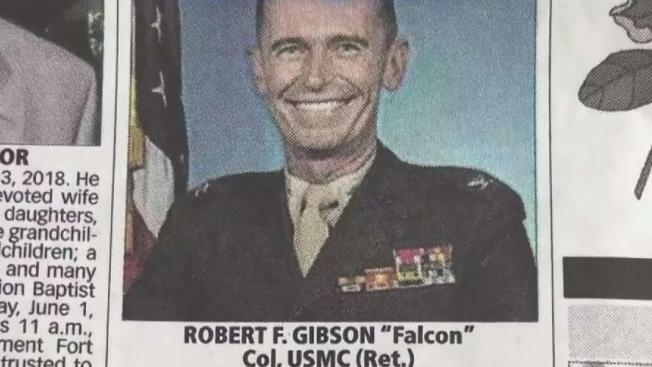 News of the obituary was first posted on the Reddit page for Washington, D.C.
Gibson, who was from Dayton, Ohio, served as a Marine officer for 30 years and was deployed to Vietnam twice. Also, he participated in operations in Operation Desert Storm, Kuwait and Lebanon, among other countries. His obituary says he was awarded the Legion of Merit with Gold Star and the Bronze Star with Combat Distinguishing Device. He is survived by his wife of 36 years, his children and a grandson. He was set to be buried Thursday with full military honors at Arlington National Cemetery.